Enjoy Fireworks Across the Metroplex! If you will be in the Dallas/Fort Worth area for the Fourth of July weekend, you won’t have any problem finding a dazzling fireworks show to enjoy. We have compiled a list of the best fireworks shows that will be displayed the nights leading up to, and the night of, the Fourth of July. Mark your calendar for another round of the best fireworks in town starting at 8:15 p.m. The Fort Worth Symphony Orchestra honors our Independence Day with a bombastic display of musical patriotism. Pack a picnic, bring the whole family, and join our all-American July 4th celebration at the Old-Fashioned Family Fireworks Picnic. Buy tickets here! Enjoy one of the top firework shows in the country starting at 4 p.m. in Addison, which boasts a half-million guest attendance and city-wide celebration. The main celebration occurs at the 12-acre Addison Circle Park, where you can enjoy food, live music, historic warbird flyovers, and a dazzling 30 minute fireworks display choreographed to music. Addison Circle Park also offers a live concert after the fireworks show if you’re wanting to wait out the traffic. Alternatively, watch parties occur at many of Addison’s restaurants and hotels, and the event is simulcast on 100.3 JACK FM. This is a free event. Visit Addison Kaboom Town’s official website for a comprehensive schedule of the evening and traffic/event notes. The downtown Dallas skyline will light up with a fantastic fireworks show to celebrate America’s Independence Day. The festival is free and offers plenty of fun including the fireworks display, music, food, vendors, children’s activities and more from 6 p.m. to 10 p.m. Celebrate the Fourth at a patriotic fest featuring live music, a free KidZone area, concessionaires and a low-level fireworks finale. Blankets and lawn chairs encouraged. Free parking and shuttle at Metro Square Business Park (Ford Road and Villa Creek); gates open at 6:30 p.m.
Firewheel Town Center will celebrate our nation’s independence with a full afternoon of family fun during Star Spangled Spectacular, from 4 p.m. – 9 p.m. Families will enjoy face-painting, bounce houses, live music and food trucks during Star Spangled Spectacular. Additionally, the 92.1 Hank FM Party Patrol will be onsite from 4–7 p.m. with games, prize giveaways, and even more fun. The event will culminate with a patriotic fireworks display at 9:15 p.m. Celebrate the holiday July 3 – 4, watch live horse racing and enjoy a world-class fireworks show. The Family Fun Park will be open with pony rides, petting zoo and more. The Vegas Stars perform live music on the Courtyard of Champions stage between the races. Following the last race each night there will be a dazzling firework display choreographed to music. Gates open at 3 p.m. on both days and the first live race is at 5 p.m. General admission is $5, and members of any branch of the military receive free admission with valid a military I.D. Discounted $10 parking (otherwise $20) is available for purchase in advance at the “Reserved Seating” counter located on the first level of the Grandstand. Bring the whole family out for a night of fun at Roanoke’s annual Independence Day celebration! Complete with bounce houses, a rock climbing wall, train rides, spectacular fireworks, food and much more, the event starts at 6 p.m. concluding with a great fireworks display! Attracting over 5,000 attendees, Pecan Grove Park West is home to Sherman’s free Independence Day celebration. Lights on the Lake features live music, food vendors, bounce houses and activities for kids, and a huge fireworks show. Gates open at 5:30 p.m. Click here to visit Lights on the Lake’s official website. The City of Southlake and Southlake Town Square host their free annual Independence Day celebration. The celebration includes live music, children’s activities, festival style food, and a spectacular fireworks show. Festivities begin at 6 p.m., and the fireworks show begins when the sun goes down. For more detailed information, visit Stars & Stripes official website. 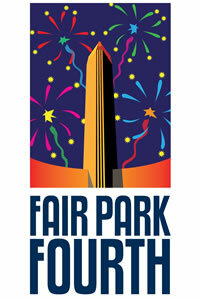 Celebrate America’s independence with a day of fun in Fair Park at Dallas’ official Independence Day celebration. 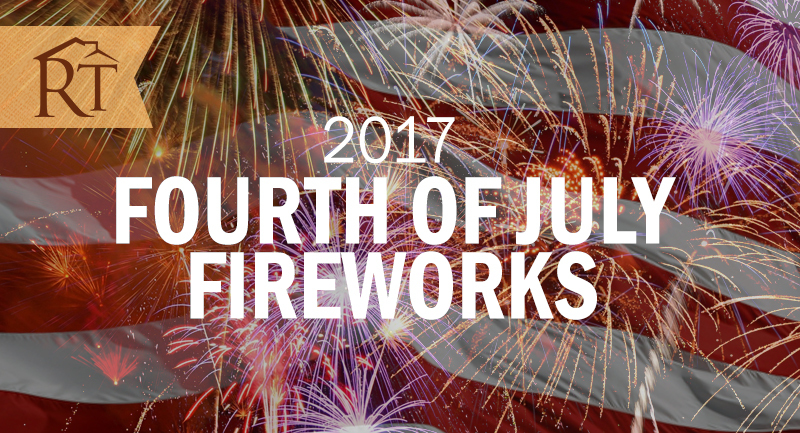 The day begins with rides, games, concessions, and live entertainment, and ends with a stunning fireworks show around 9:45 p.m. There will be many family activities and Midway rides (like the Texas Star and the Top o’ Texas Tower). Admission is free, but tickets can be purchased online for the State Fair Midway or food / ride coupons. It’s Denton County’s most spectacular night, and has been for over forty years! Come inside for live music followed by an awesome array of fireworks that light up the sky. The event is FREE (parking in all lots $10), but donations are gladly accepted by our energetic “Bucket Brigade” before, during, and after the show. Gates open at 6 p.m., and fireworks start at 9:30 p.m. Celebrate America’s freedom with the Town of Flower Mound at Independence Fest! The Town is excited to announce the two-time GRAMMY nominated country duo, Brothers Osborne, will be the headliner! A full day of activities begins with the annual Children’s Parade and concludes with a fantastic fireworks finale at around 9:50 p.m. that follows the free concert at Bakersfield Park. Gates open at 5 p.m.; parking and admission are FREE. Independence Fest will also see a performance from crowd favorite Le Freak, a vintage car show, food and drinks for the whole family, and a completely FREE Kid’s Zone complete with bounce houses, face painting and more. For detailed parking maps, click here. Fort Worth’s Fourth is celebrating our nation’s independence along the Trinity River and as always, general admission, tubing and KidsZone activities are absolutely free. Expect a fun-filled afternoon of family activities and plus live music. Food and beverages will be available for purchase on site. As the sun goes down, the sounds of Party Machine will pump up the crowd for the spectacular fireworks finale. On the shore stage, 95.9 the Ranch will host three local bands in the Battle of the Bald Eagle Battle of the Bands contest. Flyboarders will also be performing lively shows on the river in between music acts, then right before the fireworks show lights up the sky, the jet-pack flyboarders will light up the river. Gates open at 2 p.m., fireworks show starts at 10 p.m. The Frisco Freedom Fest is a great staple for its residents as well as visitors. Many different attractions are made available to the public including; bounce houses, face painting, games, music & dancing, Dachshund races, an FC Dallas soccer game, vendor village, Taste of Frisco & of course, FIREWORKS! For a full list of attractions & more details, click here. Activities start at 4 p.m. Celebrate the holiday July 3 – 4, watch live horse racing and enjoy a world-class fireworks show. The Family Fun Park will be open with pony rides, petting zoo and more. The Vegas Stars perform live music on the Courtyard of Champions stage between the races. Following the last race each night there will be a dazzling firework display choreographed to music. Gates open at 3 p.m. on both days and the first live race is at 5 p.m. General admission is $5, and members of any branch of the military receive free admission with a valid military I.D. Discounted $10 parking (otherwise $20) is available for purchase in advance at the “Reserved Seating” counter located on the first level of the Grandstand. Relax and enjoy this free Grapevine tradition at 9:30 p.m. at Grapevine Lake. Designated viewing areas include the rooftop of the Gaylord Texan parking garage and lakeside parks. The fireworks display will continue rain or shine; if extreme weather arrives, the show will start after the weather has passed. See suggested viewing areas here. The City of Irving will host its free, annual, two-part celebration of America’s independence. From 9 a.m. to 12 p.m. at Heritage Park, attendees can enjoy an Independence Day parade and reception. If you’re only interested in the pyrotechnics, the fireworks show is at Lake Carolyn from 6 p.m. to 10 p.m. For more detailed information, go to Independence Day Celebration’s official website. Enjoy another year at the Castle Hills July 4th Freedom Festival. Starting at 5 p.m. a DJ spins tunes that will keep everyone entertained. The plaza includes FREE family-friendly activities like bounce houses, carnival games, face painters, balloon artists, a giant water slide, two mobile gaming units and much more. Concessions will be available for purchase from many of the area’s favorite food trucks. Don’t forget to bring blankets and chairs as good spots along the lake for viewing fireworks get filled early in the day. The fireworks show starts at dusk. Cap your July 4th celebrations with a big bang at Plano’s All American Fourth Fireworks at Oak Point Park. The firework show at 9:30 p.m. is synchronized to music, so tune into radio station 97.5 KLAK for live simulcast. Come early to get a great spot for this spectacular pyrotechnic show. It’s FREE and plenty of parking is available at Collin College, Plano Event Center and First United Methodist Church. Food trucks are available starting at 5 p.m. Bring your blankets and lawn chairs and celebrate Independence Day. Sparks will fly at the City of Richardson’s free annual “Family 4th Celebration” at Breckinridge Park. Attendees are encouraged to bring picnics, blankets and/or lawn chairs and enjoy the evening under the stars. Attractions include balloon artists, bounce houses and a climbing wall for the kids. Parking is limited at the Park. Free roundtrip shuttle service will be offered from the Rockwell-Collins International Campus starting at 6 p.m. The last shuttle will depart from Rockwell Collins at approximately 9:15 p.m. and fireworks start at 9:30 p.m. The July 4th Celebration is Trophy Club’s largest event of the year and they love celebrating our red, white and blue roots! There is a full day of fun, patriotic events planned including a 5k & fun run (beginning at 7:15), parade of patriots (beginning at 9:30), plus a great celebration & fireworks display between 6 p.m. – 10 p.m.! For full details, check out the Trophy Club website! The Rhodes Team strives to be your total source for everything Dallas/Fort Worth. If you have more questions regarding these Fourth of July weekend events, or would like to speak with an area expert regarding buying or selling a home in DFW, call us today at 972-899-5600.